Taking a decision in a business is a very crucial part of the management. Before taking any decision it is very important to collect data from the correct source and to analyze them. Data analysis is very important because, data analysis reveals the relationship, trends, and patterns etc., which are very important to take a major change in a company’s resolution. 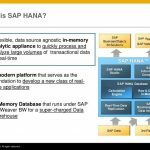 HANA is introduced by SAP, which is used by many customers to analyze a large volume of data in a second. HANA is mainly used for real-time business. 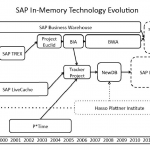 SAP HANA is mainly famous for its in-memory database. 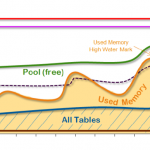 In-memory database means where we can store a database or a number of databases in a server’s memory. There is no need to save it in a hard disk.That means using SAP HANA, an organization can make smarter and faster decision than ever before. 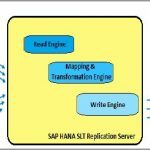 Where to use SAP HANA? We can use SAP HANA in enormous sectors including Finance, Sales, Media, Health Care, Supply Chain, Aerospace & Defense, Banking and much more. Next: Importance of English Language | Why English Language?